The Volcano Digit vaporizer features an extra large LED display that immediately and precisely informs the user of the operating status. It is equipped with the time tested SOLID VALVE Set, which features an indestructible filling chamber. Valves and mouthpieces are heavy duty and allow a customizable balloon size based on your preferences. 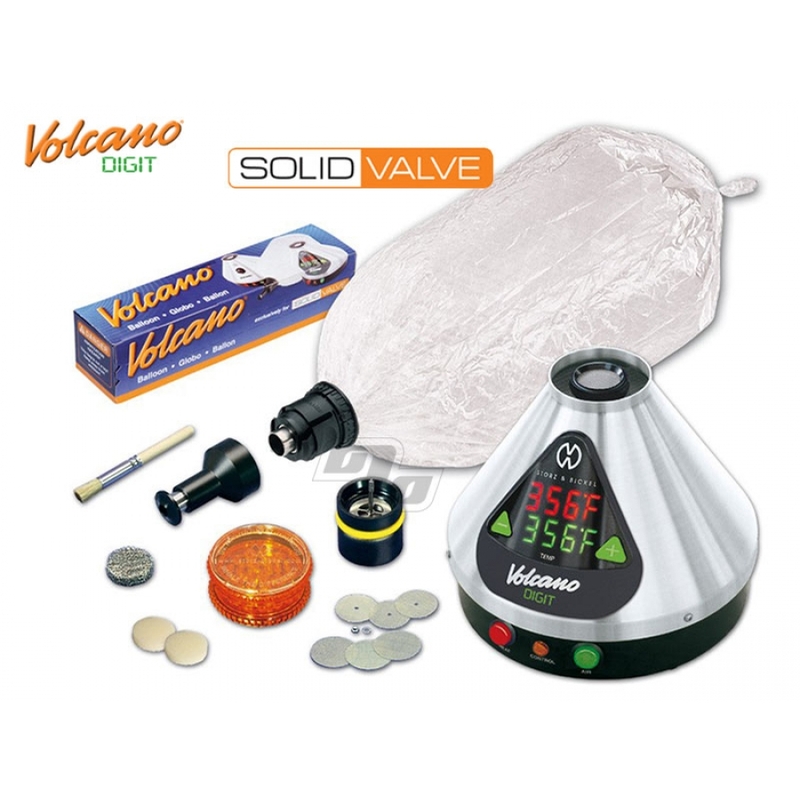 The Volcano is known by experts and novices alike as the most professional vaporizer available. 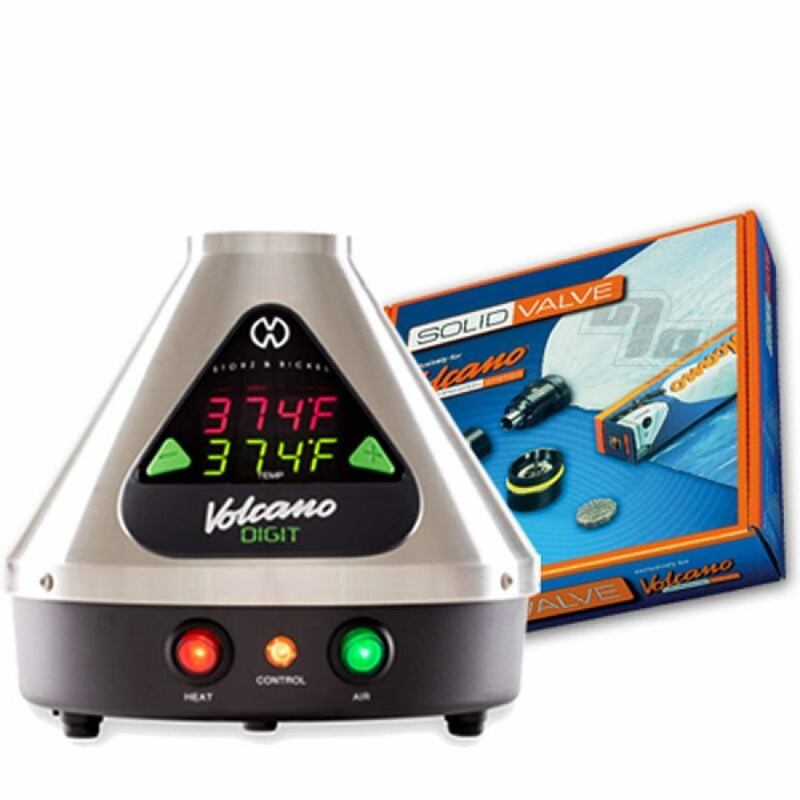 The precise and reliable air temperature control of the Volcano Digital Vaporizer sets the gold standard for medical grade vaporizers. The only company to certify this. Solid Valve is good choice for those who prefer a little more control of balloon size and aren't afraid of a little maintenance to make the bags last longer. Cut and fit any size bag to your Solid Valve.